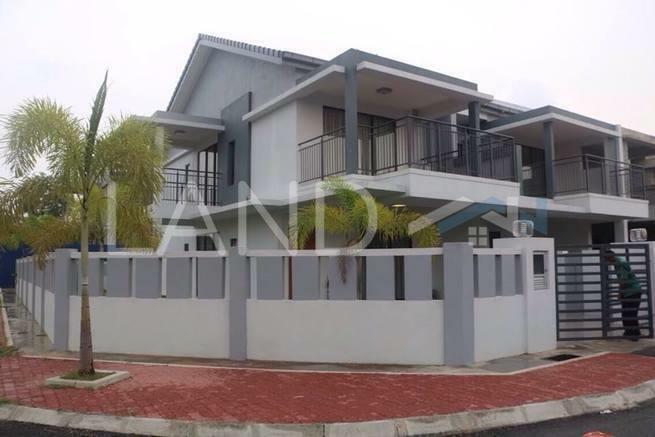 Garden Heights (also known as BTP 4) is a leasehold landed housing estate located in Bandar Tasik Puteri, Rawang.The built-up available at this project is 1,350 sf to 2,214 sf. It was developed by Low Yat Group. Low Yat Group is a medium-sized real estate group, and it has constructed around 19 real estate projects in Malaysia. Other similar projects by the same developer are Acacia Park, BTP 14, BTP 16, BTP 2, BTP 3, BTP 6, BTP 7, BTP 8 and Seiring Residences. The current market prices for Garden Heights are from RM410,000 to RM510,000 (about RM260 psf); while the monthly rentals are from RM800 to RM1,100 (about RM0.53 psf). The highest median price psf ever recorded was RM296 psf in Q2 2017; while the lowest one was RM250 psf in Q4 2018. The most popular layout and size combination at Garden Heights is 4-bedroom / 1,600 sf with a median price of RM260 psf. For price wise, the most expensive one is 4-bedroom / 1,500 sf with a median price of RM300 psf; while the cheapest one is 4-bedroom / 2,146 sf with a median price of RM210 psf.